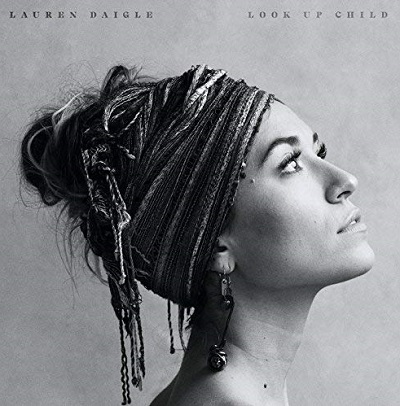 Christian music newbie turned super star, Lauren Daigle, released her sophomore studio album titled Look Up Child in September 2018. Daigle’s hit debut album, How Can It Be, made waves in 2015, earning her a multitude of awards including the much esteemed Billboard Music Award’s Top Christian Artist award and GMA Dove Award’s for New Artist, Album, Song, and Songwriter of the Year. With Daigle’s unmatched vocal talent, exceptional storytelling and melodies that stick, Look Up Child, is an impressive collection of songs that is certain to impress fans who have been highly anticipating the album. She describes the 13-track collection of songs as a personal project and shares that her heart behind the album was to help people experience the joy of the Lord. Title track, Look Up Child, has a cool reggae vibe and poetic lyric that shares a message of hope and encouragement. The catchy Your Wings has a similar vibe, and I quite enjoyed this Caribbean-inspired song that speaks about being in the protection and safety of our Father God, who is our covering. Both these songs have quickly become favorites and I find myself listening to them on repeat. This Girl is an old-school soul ballad, unlike anything I’ve heard on the Christian music scene recently. The gorgeous I Remember, perfectly showcases the singer’s dynamic range. I was also drawn to the melodic Losing My Religion — an ode to a God who wants us to have a relationship with Him. With a catchy melody, vocals that are both mesmerising and easy to sing along to and well-written lyric, this song has really spoken to me about dropping the facade of what a perfect Christian should look like, to focus on pleasing the heart of my Father. If you’re here for the ballads, you’ll enjoy the power ballads on the album. The album’s first single, You Say, locked #1 position on the American charts within two weeks of its release date. This emotive track speaks about identity and points listeners to what the Word of God says about them. Album closer, Turn Your Eyes, is the cherry on top. The traditional hymn, Turn Your Eyes Upon Jesus, has been given new life, complete with a jazz remix and a really stunning vocal arrangement with Daigle’s soulful vocals adding a new depth and feel to a song that we’ve probably overlooked due to familiarity. I thoroughly enjoyed this version of it! Lauren Daigle’s sophomore offering proves that you don’t need dramatics, in order to create a masterpiece. Daigle’s voice is enchanting and one can’t help but admire the excellence in which she bobs and weaves through each song with her smoky smooth tone. I also appreciate the risk that was taken, as the singer set out to explore variety of different styles, to create intimate moments of worship. If God created all things – including music – should we not be experimenting with different sounds and genres when we use our creativity to worship Him? With this album, Daigle has done just that, taking an array of musical styles, and using it to convey messages of hope and joy that direct the listener to the one who gives us all of that and more. This is probably one of the better releases of 2018 and I would highly recommend it to any listener – Christian or not!